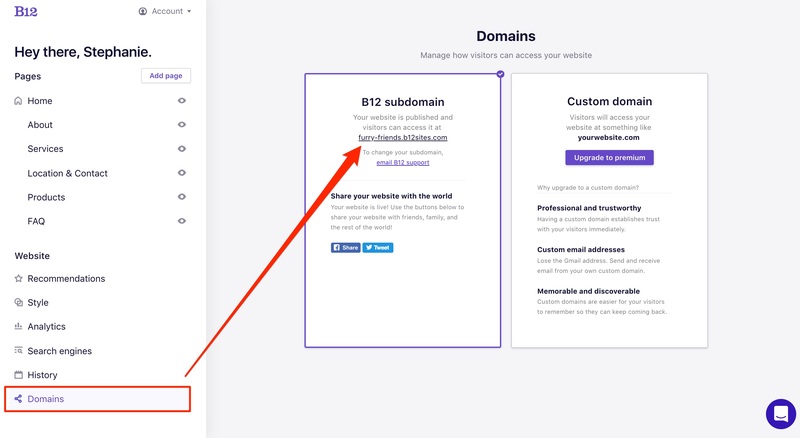 To check the name of your B12 Subdomain, go to Domains on the left hand pane. It is recommended to preview and check your website before publishing changes you've made to your live website. Once you're ready to publish changes to your live site click the Publish button at the top right of any view. 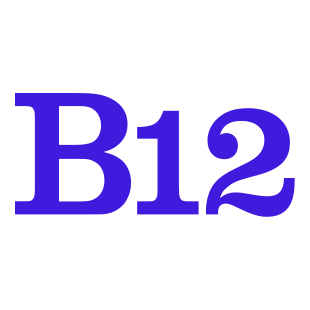 Give it a few moments for your website to load... and you should be all launched on a '-b12sites.com' subdomain!